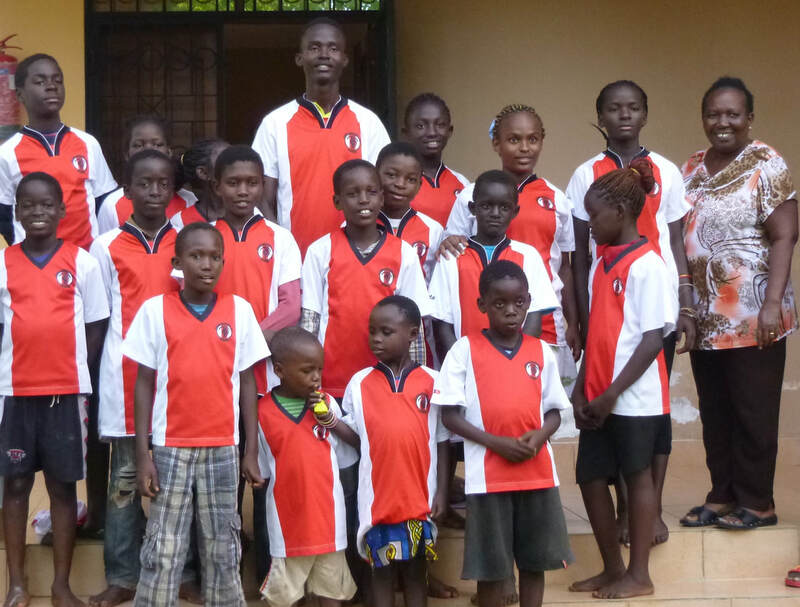 Calvary Zion Children's Home is a Kenyan charity and offers care, upbringing and education to abandoned and orphaned children in Mombasa. The first priority of the Board of Trustees is to protect the children. A local woman called Jane Karigo opened the Home in 1998. Jane realised that many children whose parents had died due to diseases such as malaria or AIDS often ended up living on the streets because there was no-one to look after them. 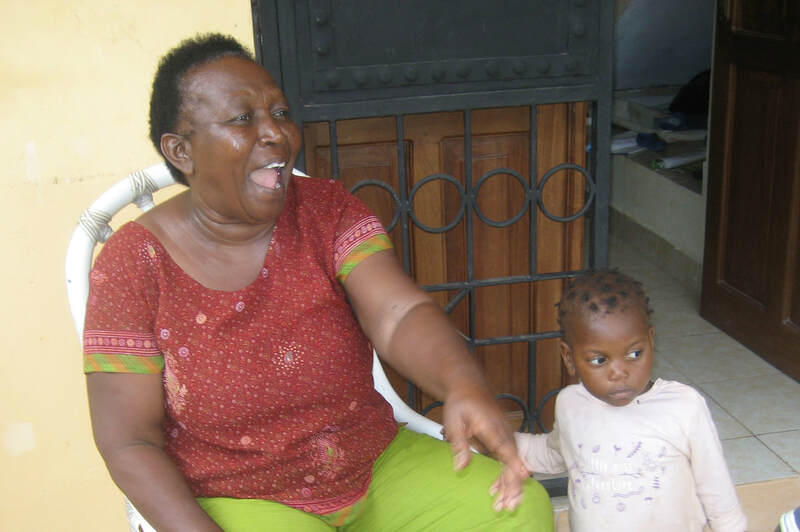 She set up the Home in order to provide love, safety and a future for as many children as she could cope with. Calvary Zion Children’s Home is approved by the Kenyan National Council for Children Services (NCCS) to provide care and protection for the children. Jane, as Director of the Home, has responsibility for the children's welfare. The children come from all over Kenya. Some are found in the streets, others may be brought to the Home by their family who can't afford to care for them. When they first arrive at Calvary Zion, the children's ages could be anything from new-born to 18 years. At first the Home was based in a small rented bungalow but after a while the number of children grew and the house became overcrowded. With the support of a number of generous donors Calvary Zion Children’s Home bought a piece of land where they have built three new houses and can grow crops and keep animals to help feed the children. There are now over 45 children living in the Home. Local women called house mothers look after them and they attend fee-paying schools. The older children are encouraged and supported to learn skills which will help them earn a living when they leave school and to become independent adults. Careers chosen so far include teaching, mass communication, secretarial and beauty therapy. 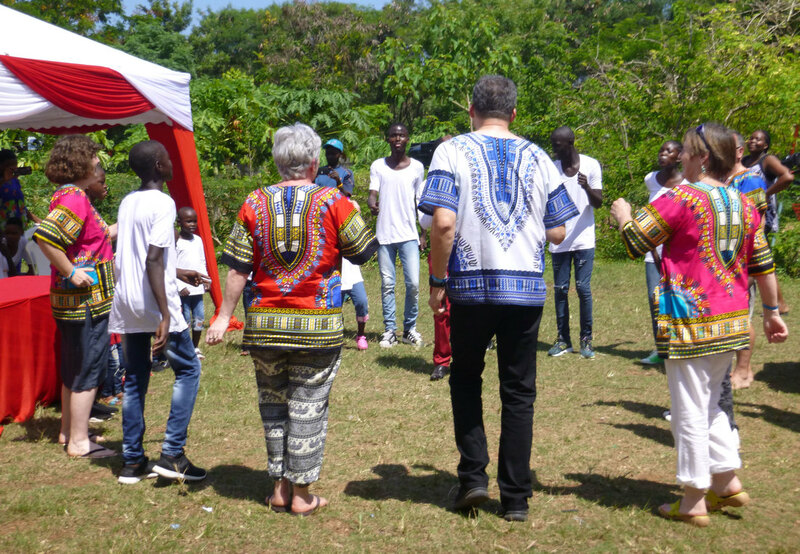 In November 2018 the Home celebrated its 20th anniversary with a party attended by supporters from Kenya, Belgium, UK and USA. We all thank you for all the great work you are doing in Scotland. It has been a great pleasure and joy to see your great love and concern toward us down here in Africa. You always work day night to see the good welfare of these less privileged kids. Our joy is that they know you care and love them. We always pray for more strength upon you. Thankyou so much for all the money you have sent us. We promise that all your continued donation will be for the betterment of the lives of these kids. We really appreciate and recognize. The buildings are going on well, we are trusting GOD to touch more people for more fundraising. We have a lot of fruits, food at the site. Its so beautiful, we only wish you can come. For your commitment in Zion, we love you very much.